Standard Scroll Hay Rack Window Basket w/ Coco Liner - 60 Inch by Windowbox at Tulips Orchids. MPN: BXI-501B-60-L. Hurry! Limited time offer. Offer valid only while supplies last. 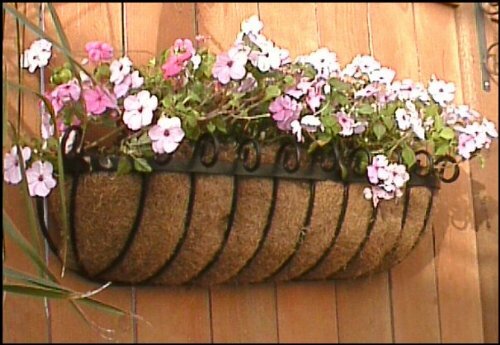 The Scroll Top Window Baskets make a great addition to any fence, wall or window. Includes coir liner and pre-drilled holes for simple installation.